Still on the hunt for Christmas presents? Never fear, Leeds city centre has got you covered! But what if you’re looking for something a little bit different for that particularly fussy family member? 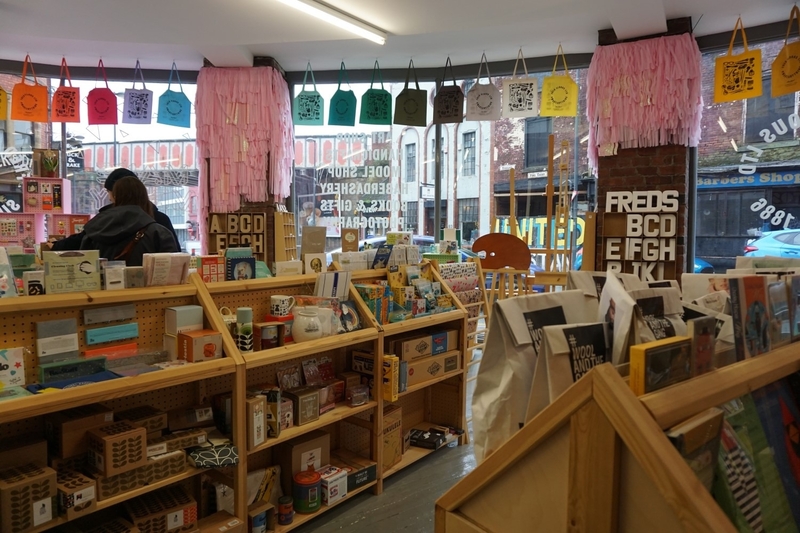 Our round-up of the best independent shops in Leeds should set you on the right path. Ever heard of Louise Madzia? Neither had we but now we’re obsessed with her ceramics which feature simple and quirky line drawings. Colours May Vary are all about bringing new brands, with a focus on graphic art and design, to Leeds. This aesthetically pleasing shop in Munro House on Duke Street is the place to go if you’re buying for someone with an arty eye. 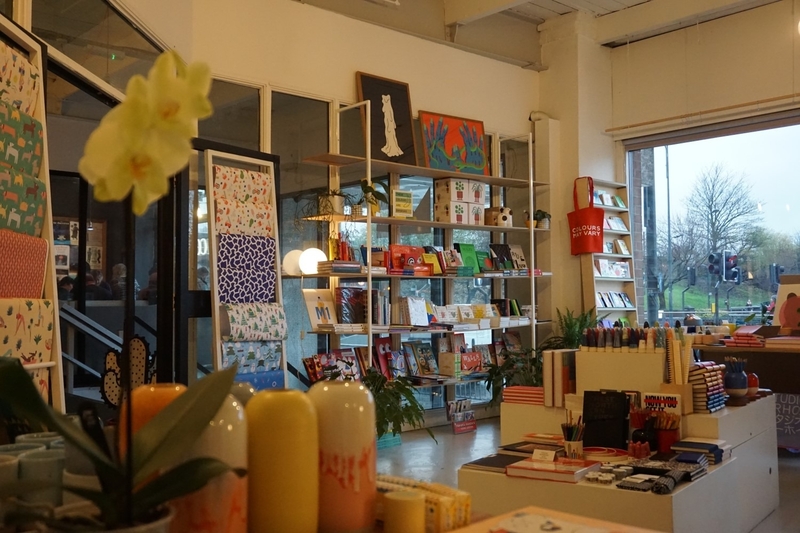 Expect homeware, books, prints, magazines and stationary by up and coming, local and international makers and publishers. You’re not going to struggle to find gifts in here, everything they stock has that oh-so-cool feel to it. Let us point you in the direction of the cuter-than-cute range of Studio Arhoj ‘ghost’ ornaments (seriously, look into the eyes of those things and you’ll be convinced to buy). Look no further than Jumbo Records for the gig-goer’s Christmas gift. 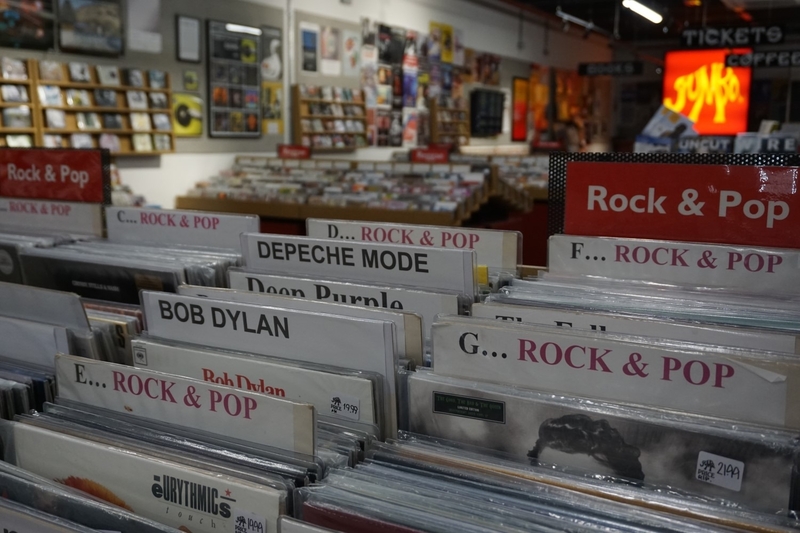 They sell a huge range of vinyl (yes there’s a revival going on!) and CDs across pretty much every genre of music. Indie, rock, experimental, jazz, dance, folk, reggae, soul – you name it, they’ve got it. As well as mainstream stuff, Jumbo stock the more obscure, and music by local bands too. Want to impress that friend who’s always listening to the newest bands before anyone else? Just ask – each member of staff has their own specialist genre so they’ll be able to help you pick something out. The team’s top pick of 2018, for fans of Clinic or The Fall, is Suuns’ new album, Felt. It’s that kind of hypnotic, experimental rock. At this time of year Jumbo often run promotions where you’ll get a piece of merch with an album so you could bag a serious bargain too. 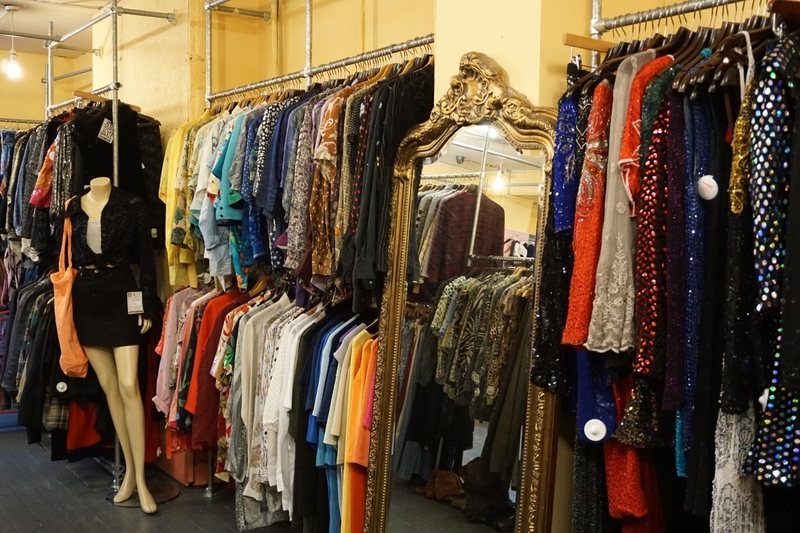 You won’t believe how much vintage clothing is packed into Blue Rinse – it’s easily the biggest vintage shop in Leeds. Head here to scout out a present for your fashionista friend. Shop men’s and women’s over four floors. For guys there’s everything from sportsware to leather jackets and plaid shirts to cord trousers. And for the gals there’s anything from sequinned party pieces to fairisle knits and loads of accessories too. Looking for a timeless, fail-safe piece? Blue Rinse pride themselves on their collection of vintage Levi jeans and jackets. One of our favourite things about this shop is their own brand clothing that they produce by recycling retro pieces. You’ll find one-of-a-kind plaid pinafores and co-ords, designed and made right here in Leeds (Armley to be precise). You can’t get much more unique than that! 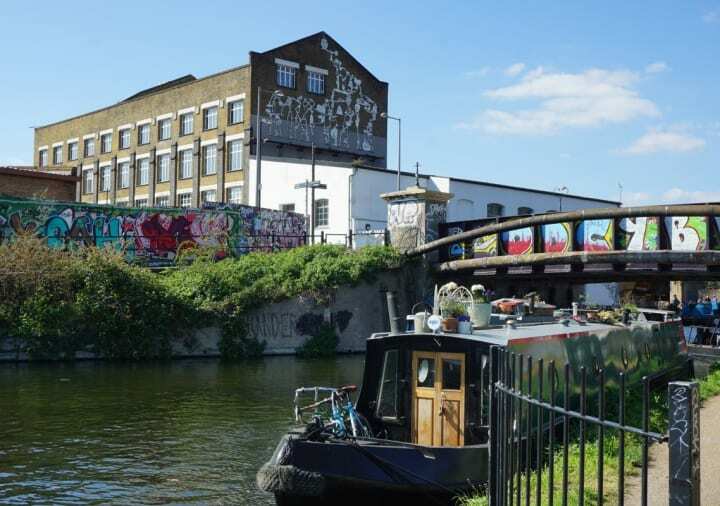 Come across cult brands like Wool and the Gang and Toft, along with local suppliers like Geo-fleur who grow unusual houseplants (because all craftsters love plants?!). The shelves are filled with craft books, pom pom makers, crochet kits, kids craft sets, flower presses, paint brushes and all the usual stuff. But look out for unexpected items like the thirsty plant kit which has everything you need to build a sensor that tells you when your plant needs watering. 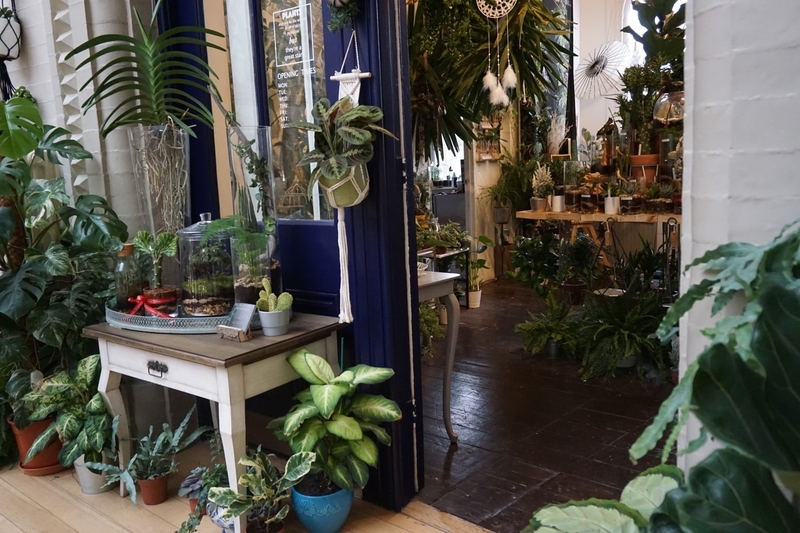 House plants are all the rage right now and would make the perfect prezzie for the friend who likes to be on trend. 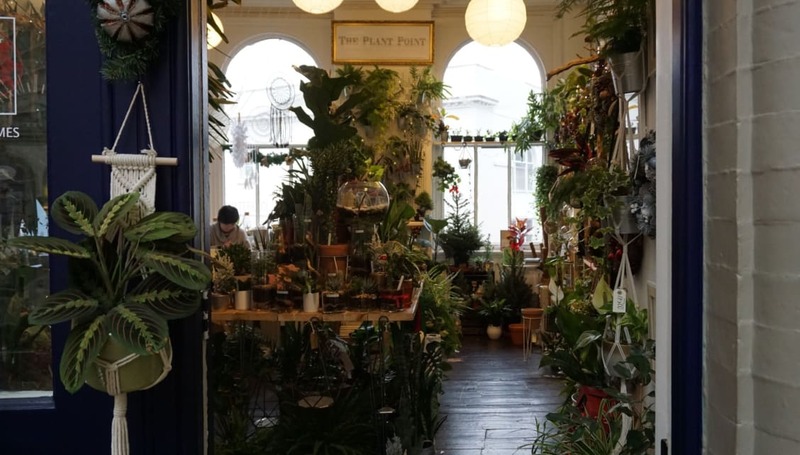 The Plant Point is the only shop of its kind in Leeds and the newest independent shop in the city. It’s like a mini jungle in there. Choose from succulents like the string of pearls plant, pick out a variegated rubber or go for a teeny, tiny cactus. On top of common houseplants like cheese plants and peace lilies, The Plant Point also stock rare ones like the Ficus Everest plant (it’s got big velvety leaves and looks a bit like a fig plant) and the Lipstick plant. Their mini gardens in glass bottles and jars are definitely gift-worthy and they’re made up in store by the owners, sisters Sonia and Ada. MKI is a Leeds born men’s streetwear brand inspired by the miyuki zoku trend the emerged in Japan in the sixties. This shop is the one for that guy who’s always ahead of the curve. The story goes that Japanese students would leave school each day and immediately get changed into American Ivy League inspired looks to hang out outside their favourite shops. Shop for top quality basics like t shirts and quarter zip tops or go for something that’ll stand out in a crowd like their camo over shirts. 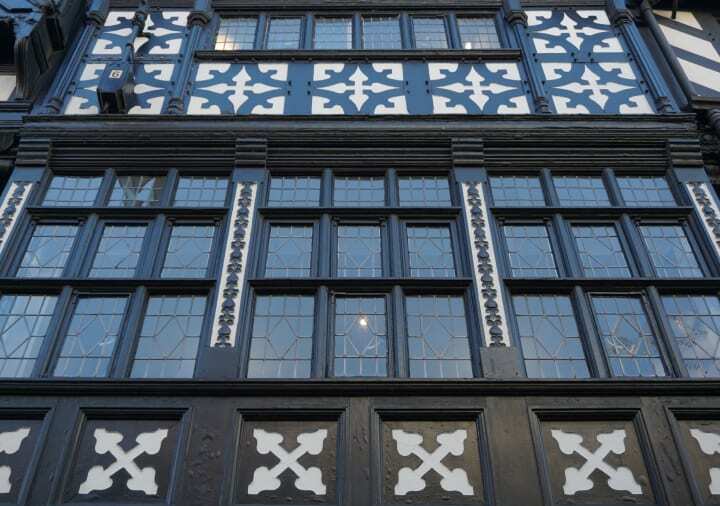 Everything is designed right here in Leeds. 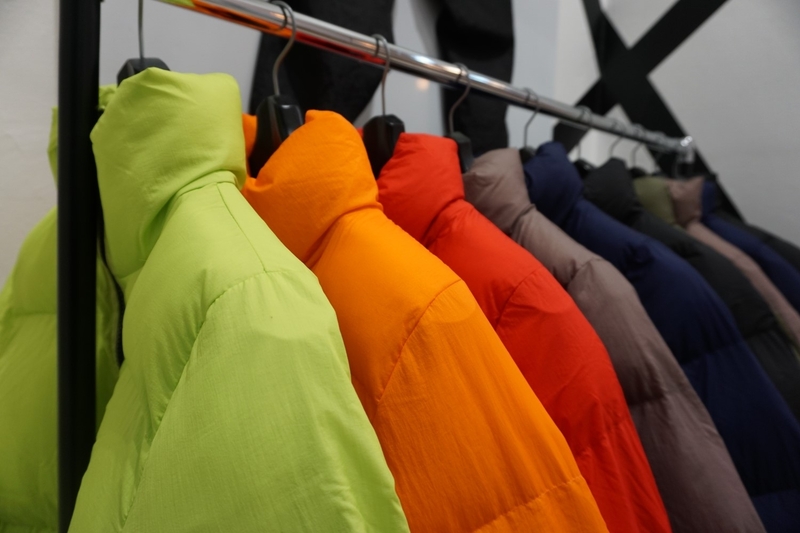 MKI’s bubble jackets are the thing of the moment (we’re loving the orange) and their fleecy Sherpa quarter zip pullovers are coveted by the coolest local hipsters. They also stock Comme des Garcons and Dickies. Buying for a budding photographer? Then West Yorkshire Cameras is your go-to. 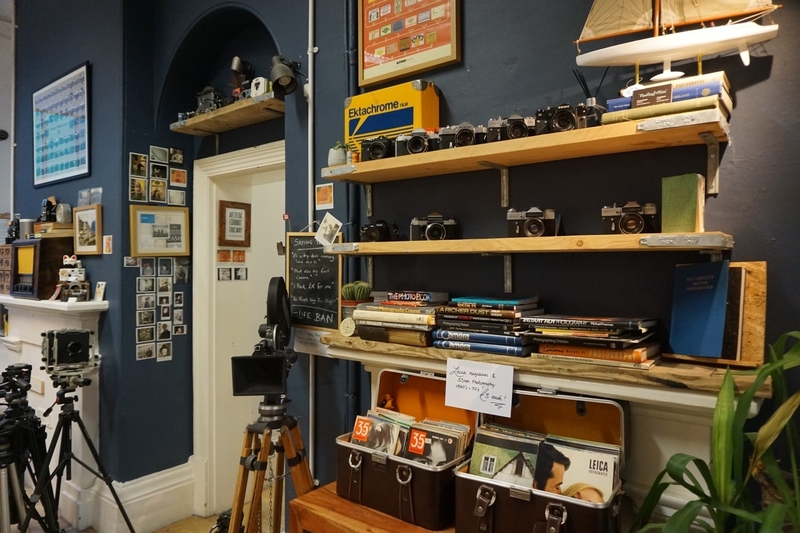 They specialise in analogue cameras and equipment because who doesn’t love the charm of film photography? For first time film users go for a Pentax P30, a Canon AE 130 or a simple point and shoot. Or if you’re buying for a seasoned pro consider a medium or large format film camera. Shopping on a smaller budget? Then there’s retro photography books and Leica magazines from the sixties and seventies. You can also buy film, second hand lenses (some are suitable for digital cameras too) and accessories like camera bags. And while you’re there check out some of the antique, collectable cameras from the early 1900s. 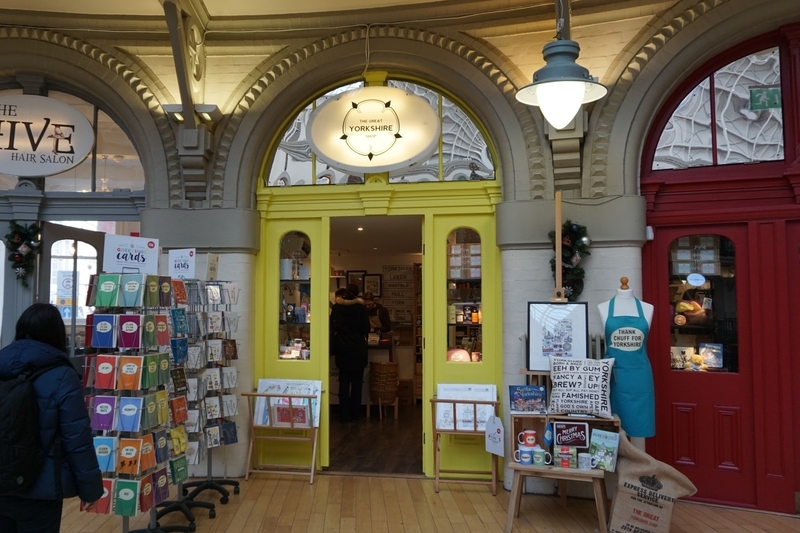 We’re just going to put it out there that you’re probably going to end up buying yourself a present from The Great Yorkshire Shop. It’s the ultimate place to get a Yorkshire themed gift. Everything they sell is made by independent businesses and makers, all based in God’s Own Country. Pick up famous Yorkshire brands like Farrah’s fudge and Cartwright & Butler biscuits. There’s rhubarb chocolate made in York and North Star coffee made right here in Leeds. Know a guy who’s into his grooming? 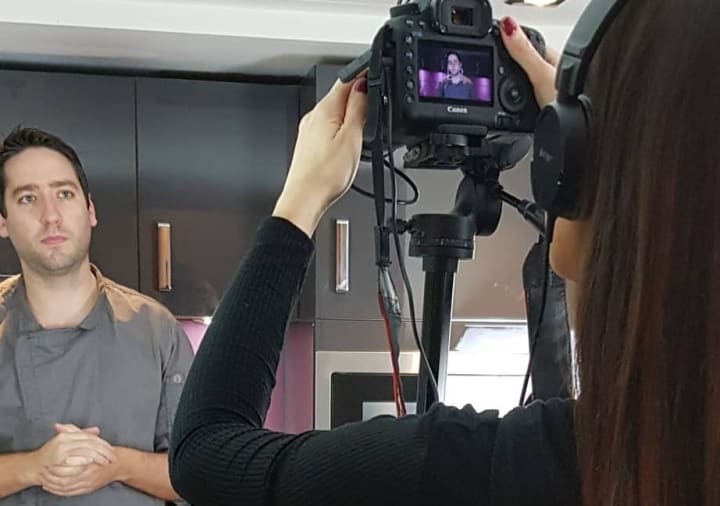 There’s beard oil and moustache wax produced in Doncaster. The products emblazoned with Yorkshire dialect and humour would make great stocking fillers and so would Kate Broughton’s mugs, badges and pocket mirrors, covered in wildlife illustrations. Now go forth and blitz that to-buy list! Check availability at Roomzzz Leeds City and get your Christmas shopping weekend away booked now.